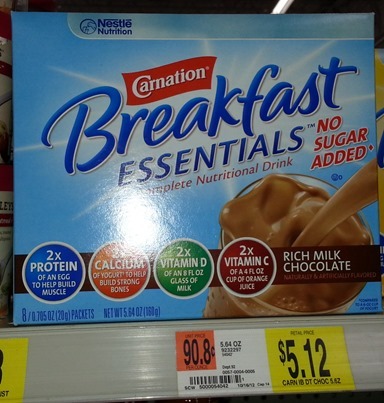 Carnation Breakfast Essentials Just $3.84 at Walmart! 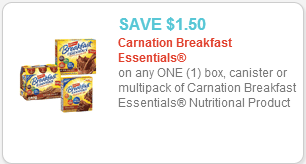 Check out this great Carnation Breakfast Essentials deal! 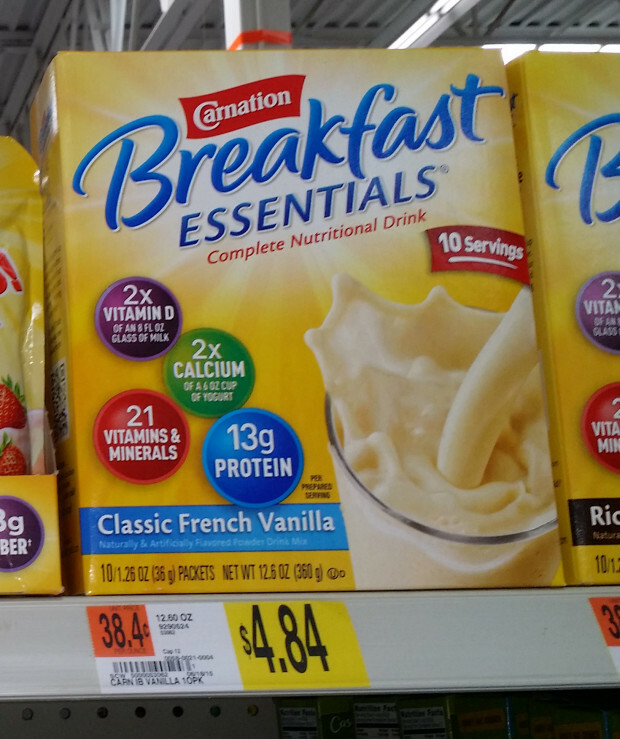 Carnation Breakfast Essentials are just $4.84 at Walmart! 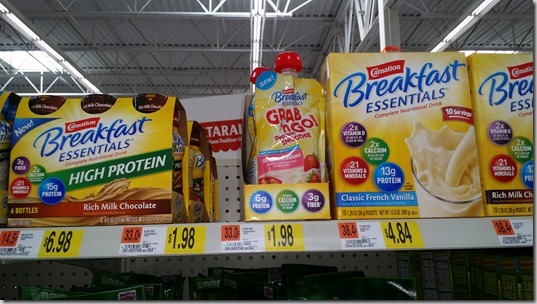 Carnation Breakfast Essentials Grab and Go Protein Shakes Just $1.23 at Walmart! Try one of these Carnation Breakfast Essentials Grab and Go Protein Shakes! 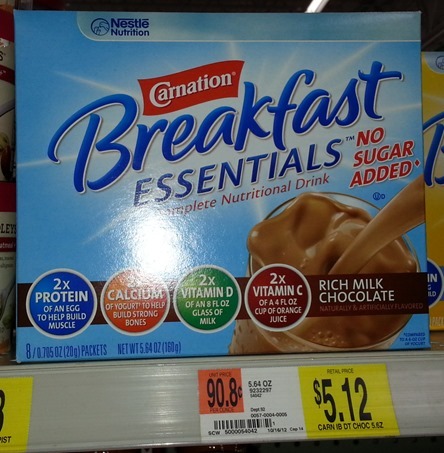 Carnation Breakfast Essentials Just $3.62 at Walmart! Grab this new coupon for Carnation Breakfast Essentials! On a mobile device? Click here, select the coupons you want and click the “Email to Print” button to email the coupons to yourself so you can print them later! 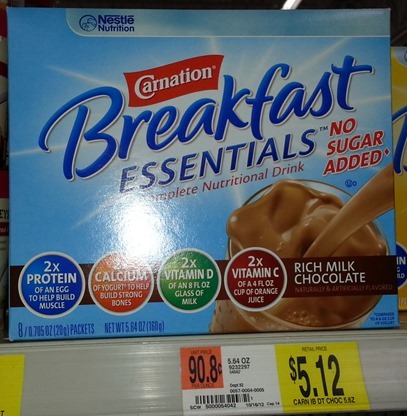 Carnation Breakfast Essentials Starting at $3.62 at Walmart! 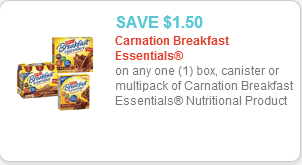 Here’s a new coupon for Carnation Breakfast Essentials! 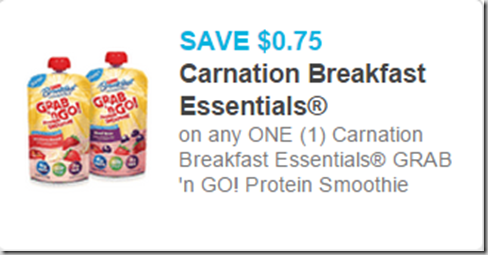 Carnation Breakfast Essentials Just $4.37 at Walmart!